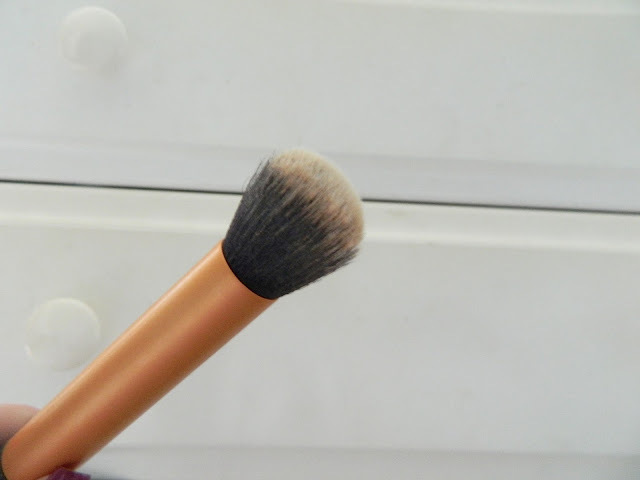 This foundation brush comes from the Real Techniques Core Collection Set, which is amazing because you get 4 fabulous brushes for less than $10. Yes please! It blends foundation seamlessly and doesn't leave any streaks. Elf is such a great quality makeup brand that is SO inexpensive. I picked up this powder brush in a rush one day because I couldn't find my other one. I did not expect to like it as much as I did! It really does a great job applying powder and doesn't shed. I like to lightly dab on my powder rather than rub, because I find it provides a more solid coverage. I always set the concealer under my eyes because I feel like it prevents creasing and keeps the product from looking cake-y. For the longest time, I simply set the concealer with my regular powder brush (the Elf one above) but it didn't quite seem to do the trick. The Real Techniques Setting Brush is small enough to fit in just the under eye area so it works great for setting your under eye concealer! This one is another brush from the Real Techniques Core Collection Set (greatest brush set ever?!). 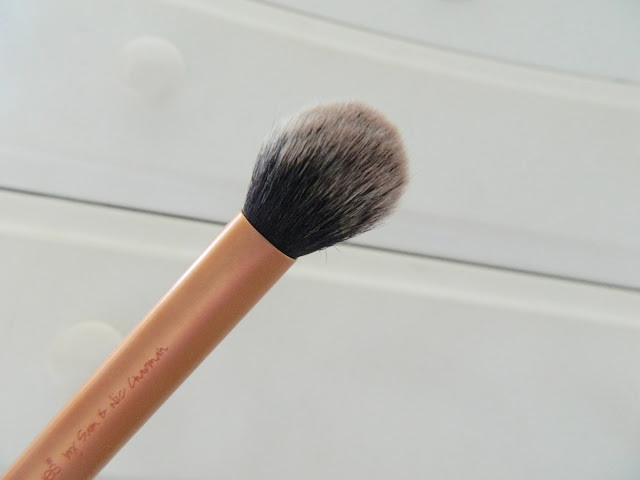 It's the perfect size and allows you to get a very precise contour. It's not too small that it creates just a line. It allows you to create an extremely natural contour, and who doesn't want that? 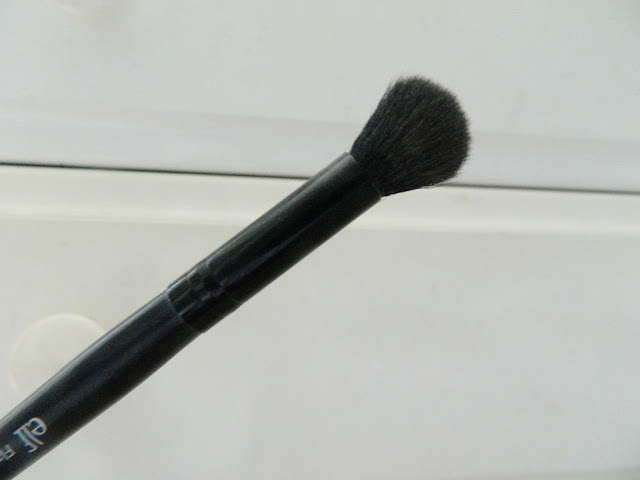 I searched and searched and couldn't find any place on the internet that sold this brush! 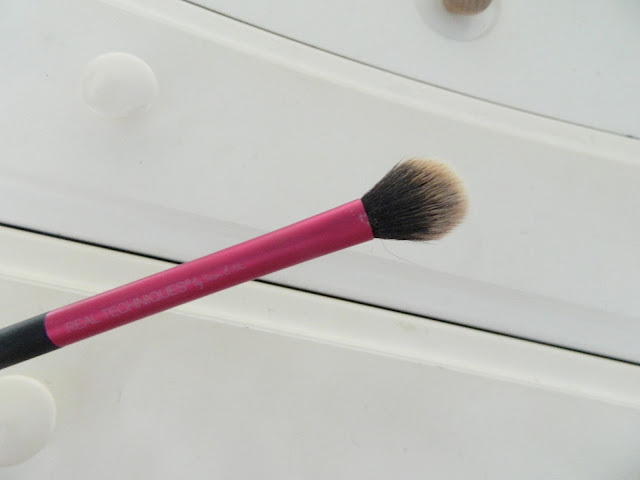 This is super sad, because this is by far the most amazing blush brush I've ever used. I almost didn't include it since I couldn't find it sold on the internet, but I honestly haven't found any blush brushes that compare. It's incredibly soft and applies blush perfectly. Now, although I said I couldn't seem to find it on the internet, I purchased mine at TJ Maxx, and I've seen this brand of brushes sold in their stores multiple times. Next time your shopping for good deals at TJ's, take a quick trip down the beauty isle and see if you get lucky enough to see one of these brushes! 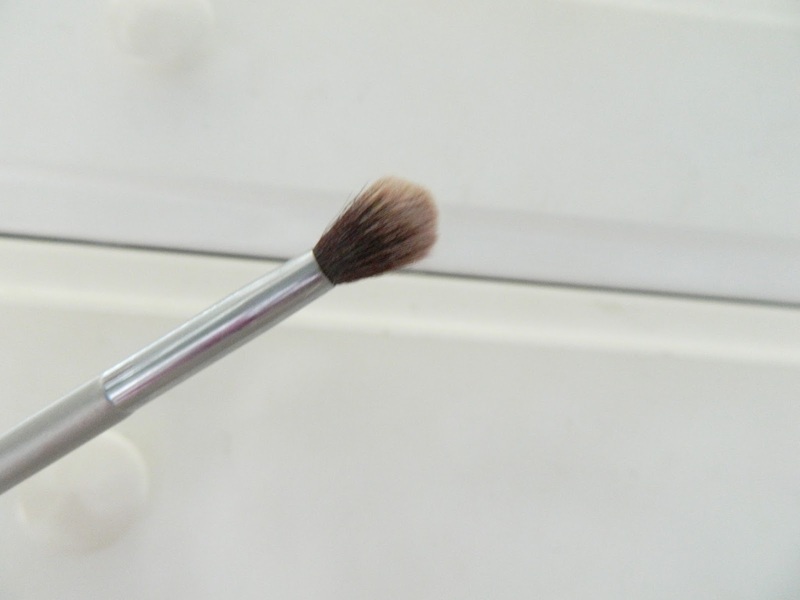 Okay, it's technically a concealer brush, and I have used it for that in the past. 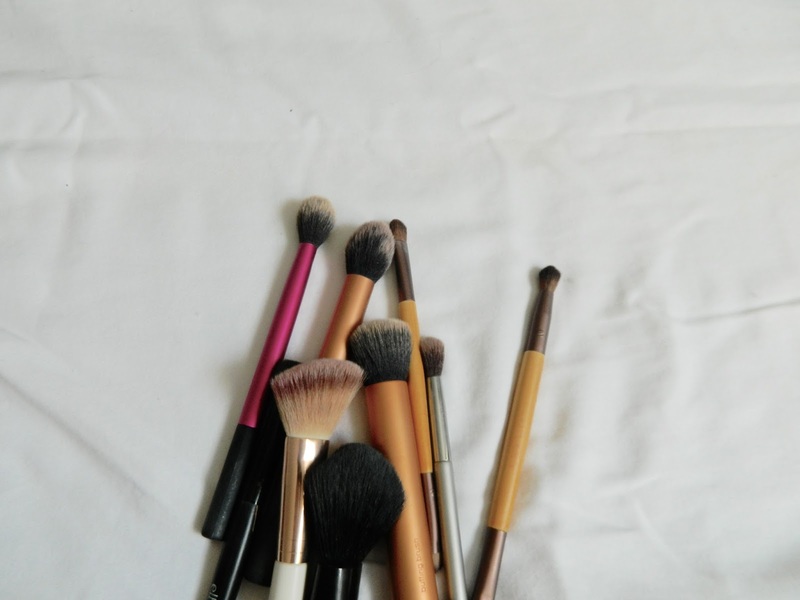 I became obsessed with the beauty blender, so I stopped using this brush for concealer. I quickly discovered that it worked great as a highlighting brush. It's small enough to just get the tops of the cheekbones and wherever else you want to highlight. I love the duel ended brushes from Eco Tools. These are amazing for traveling, as it's like 4 brushes that take up the space of two brushes. They have literally everything you need for your eyeshadow. 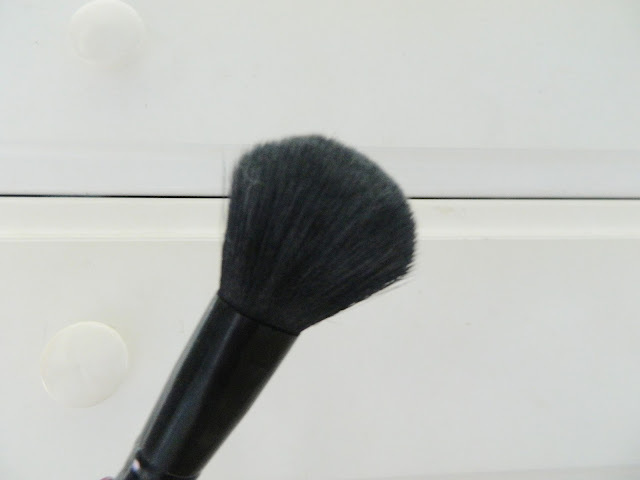 Of course, I have a separate create brush, just because I like a really fluffy brush to blend out eyeshadow. This one from It Cosmetics is really soft and blends colors beautifully. What a great post! 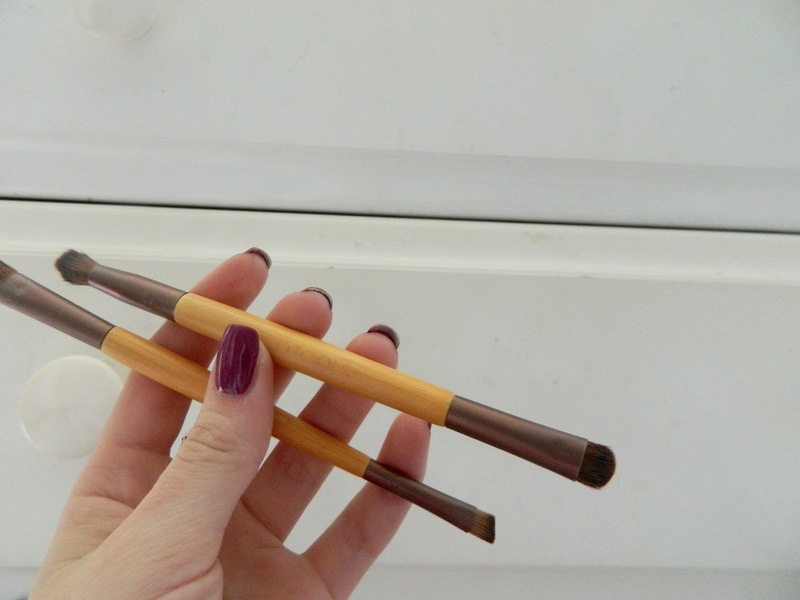 I adore eco-tools brushes! I remember the first one I purchased and was blown away by how soft it was... I prefer it to some of my more expensive brushes! Great post! They are seriously so soft! I love them! I loooove Real Techniques brushes- great quality for the price, too! I agree! So affordable and such great brushes. I love real techniques brushes. They're amazing quality for affordable prices. 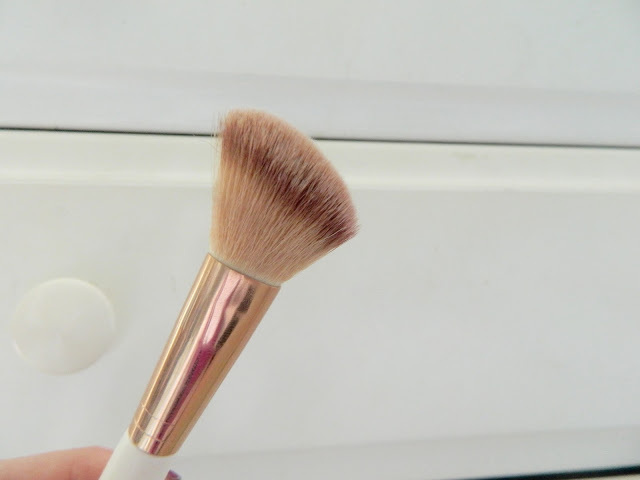 You should try the Ollie and Olivia foundation brush. It's amazing! I also bought mine at TJ Maxx, however, it was last one brush of that brand in the entire store. So sad they didn't have more. 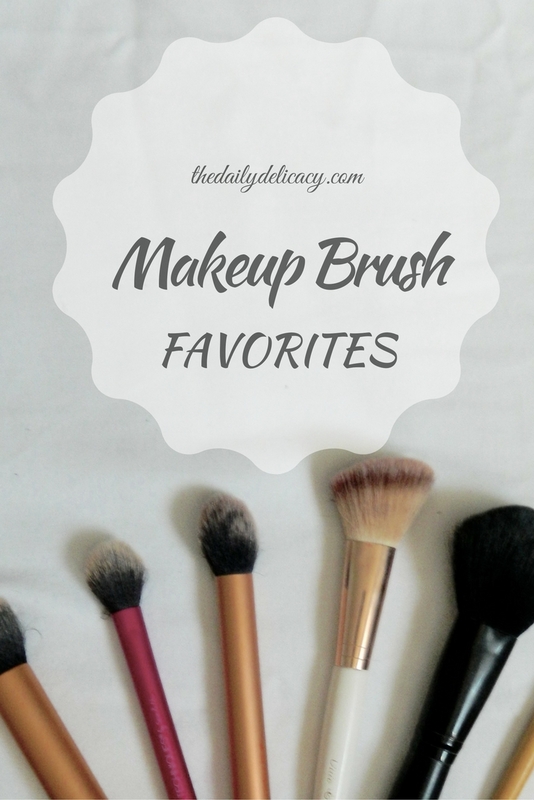 Good Makeup Needs Best Makeup Brushes set to care about your skin.